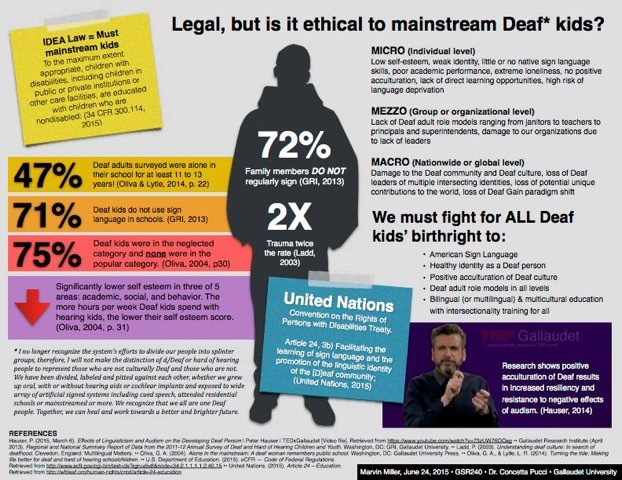 The Ethical of Forgotten Mainstream Deaf Students – …And the Truth Shall Set You Free. Mainstreaming has often been labeled as the greatest cultural success in the eyes of school administration when they said that Deaf schools are a wasteland of academic fraud and face plants worthwhile only for those moments in life of great procrastination. The face plants are often the people who works in media and school administration that are too lazy to admit that the oppression inside mainstreaming schools around the country is the reason that mainstreaming students are struggling for the best academics available. What does it mean to me? The last 20 years has changed a lot—for example, in the special education report by the Department of Education and that is in America alone, 80% of Deaf students in mainstreaming struggle to meet with the state standards, for example, test scores in English, math, reading, science, history, and several subjects as hearing students excels. It shows that the society did not really pay full attention and they are responsible for the depression and the pursuit of happiness. The key word in the quote is enormous number of changes. Is it hopeful or hopeless? Look a little deeper in Ladd’s book Understanding Deaf Culture: In Search of Deafhood, and one can find a glowing patchwork of literature masterpieces, available to any and all who wish to break free from severe academic oppression in mainstreaming by students themselves, if only for a moment, into 20th century discourses, for example, new Deaf discourses, 1975 to date, the Oralist response, 1980 to date. The following discourses, for whatever reason, appear full length and for all to see what the media did not reveal the TRUTH in the first place. A quick disclaimer—the discourse is here one day but may be gone the next. As of this writing, there is available, but the future is uncertain. Now, in no particular order, there is an important discourse to focus on. 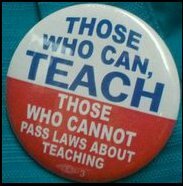 Little more can be said about Deaf community fighting enough to keep Deaf schools open. This stuff is old enough now to be in the public domain, and there are days and days of severe academic oppression in mainstreaming schools for all to see. Within full-fledged mainstreaming comes into my life, the whole life, so it should be no surprise if some of it is hard to grasp. There is a good reason why I remain on the cultural compass for so long, however, and it is never been easier to explore my life and work. However, it is very important to see primary source documentation with education in 2015 looks like. Let Mr. Marvin Miller be your guide with his latest project—a splendid work! The image above that will guide you to understand the adversity that Deaf students face today and tomorrow, even when the society disagree or when they are not able to support them as much as they would like because all of the things they are pulling this way. As shown in Marvin’s project, 75% of Deaf kids that were neglected category and none were in the popular category found in Gina Olivia’s book—is pretty much true to my experience in mainstreaming schools. Along with Miller’s project, my concerns that mainstreaming students are having difficult time to be a human, and there is not enough encouragement despite their deep struggle. Now Deaf people are above and beyond the sun, in the brightness of the universe and the darkness of the cosmos waiting for the Big Bang. The collision of being Deaf so immense that they could never explain, so small that the Deaf people will never recover truly from it. We know that it is there; we know that Audism is coming back in the cycle over and over. Are Deaf people coming? Yes, they are coming!